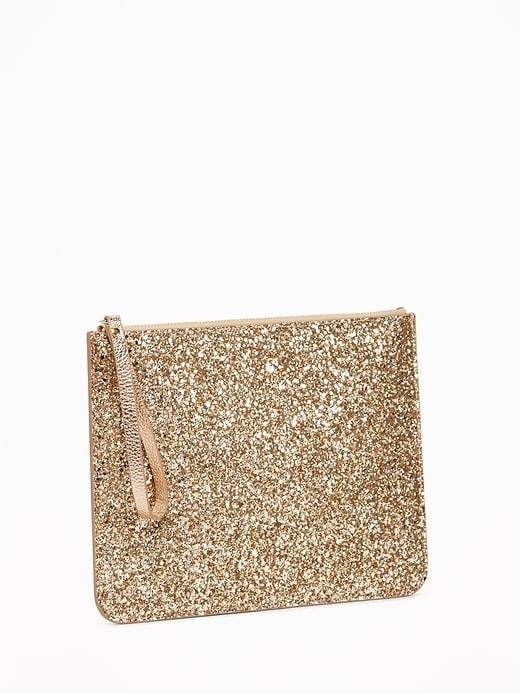 Gold metallic faux-leather clutch, with sparkling gold glitter on one side. 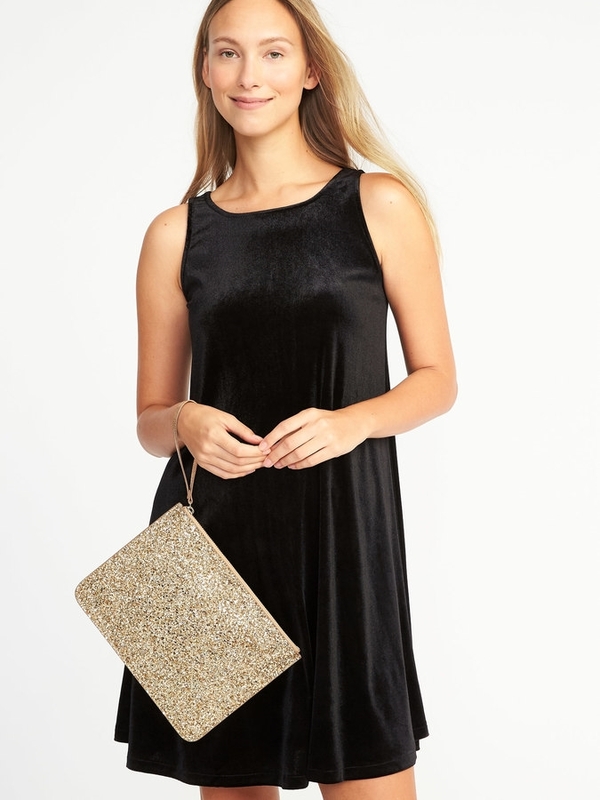 Zip-top closure, with faux-leather wristlet strap. Smooth lining, with pouch for wallet or phone and all-over moon & stars print. Approximately 10" L x 5"W x 8"H.